Some of the volunteers who ensured Sundays's junior hockey matches could proceed! 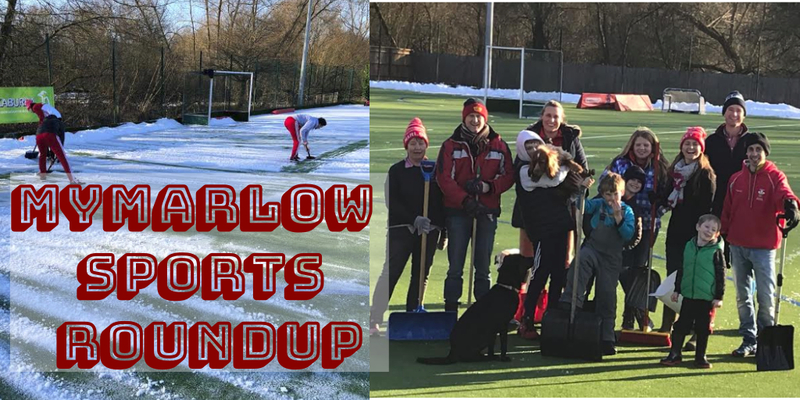 The frosty weather and snowfall put a stop to much of the sport happening across Marlow, but fear not, the work of some brave volunteers helped Marlow Hockey Clubs Junior sides get some games in and we also look ahead to a busy week of football for both Marlow United and Marlow FC. With hockey “snowed off ” on Saturday there was a chance to clear the pitches in the hope of the Junior teams playing their cup ties on Sunday and a full programme of junior games. The boys under 18s were so keen to play that they, and many other club members, put in a lot of hard work and the pitches at the club and Great Marlow School were cleared and all the games were able to take place. Marlow Hockey club Chairman, Keith Packer said it was down to ‘dedicated volunteers and coaches who helped clear the snow. Unfortunately for Marlow, they met their match in Guildford who had been their winning opponents in the recent National Indoor Championship semi-final 5-0 after being just one goal down at half time. The girls under 16s advanced to the next round of the cup, beating Amersham and Chalfont 5-2. The days matches at Pound Lane finished with a goal fest from the U18 girls, winning 16-1 in the 3rd round of EH Plate over local rivals Reading. In the National Mixed team competition, the Marlow Mixed X1 are now into the second round having beaten Milton Keynes 2-0. 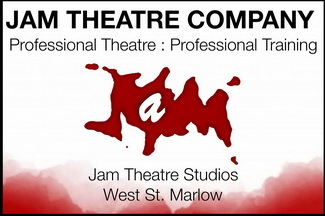 With both Marlow United FC and Marlow FC having their games called off at the weekend, it is a perfect chance to have a look at what both sides have in front of them this week. Marlow FC take on Uxbridge this evening, looking to make it three wins on the bounce. 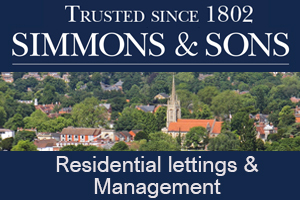 While Marlow United have an important cup match against Newbury Town on Saturday, knowing a win would take the Flying Blues into the final of the Berks and Bucks Senior Trophy. United have a history in the competition, albeit a slightly sour one, losing in the final in both the 2016/17 and 2017/18 season. And finally, with all this cold weather it seems like perfect time to mention that you can try your hand at Tennis at Bisham Abbey sports centre with Living Tennis. The club offers a variety of lessons for all ages and skill levels- and most importantly, they have indoor courts, so perfect to stay out of the snow and cold.